At this day there is scarcely an earnest, scientific physician who does not recog­nize the bacillus as the cause of lung con­sumption. Shortly after this communica­tion Koch was rewarded by an appointment at the Berlin Hygienic Institute and a pro­fessorship at the university, ample oppor­tunity being thus afforded him for further researches in the line of investigation which he had followed. 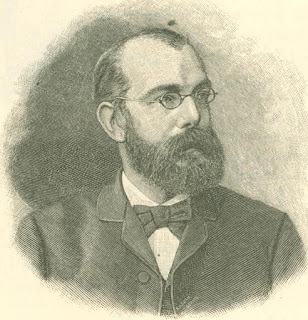 A few years ago Koch was sent to India by the government to investigate the cause of Asiatic cholera, and succeeded in discovering the microbe which is at the bottom of the disease. The next step to­ward progress was, of course, to prevent or cure these con­tagious dis­eases; and Koch has de­voted his clos­est attention to this subject for some years. On November 14th he announced, in his famous publication, that a cure for consumption had at last been found, and this it is which bestirs the world at the present time. Koch is a man of small stature but good development, with sharply cut features and a face that beams with intelligence. He is a typical German. He cannot now take his glass of beer in the company of congenial comrades at his usual resort on account of the crowds who wish to see him, but formerly he was often seen to enjoy himself, like most of his colleagues, by chatting over the beer table. There is a frankness and a friendliness in the conver­sation of Professor Koch which cannot but make a favorable impression, and a simplicity which is found predominant in nearly all great men. In spite of the great number of people who seek an interview with Professor Koch, he does not deny him­self to anybody, and everyone carries away a pleasant recollection of the scientist. If the document of November 14th, in which Koch announced the cure of con­sumption, had not been written by a man whose thorough­ness and reliability were accepted facts, it would hardly have been noticed. But coming, as it did, from the infallible Koch, the publica­tion fairly bewildered the medical profes­sion, and moved thousands of consumptives to migrate to Berlin in the hope of restoration of health. Money came pouring in from emperor, government and citi­zens for promoting the extensive study of the discovery; hospitals are being erected, with a special view to the observation of tuberculosis in all its phases, and German enthusiasm knows no bounds. 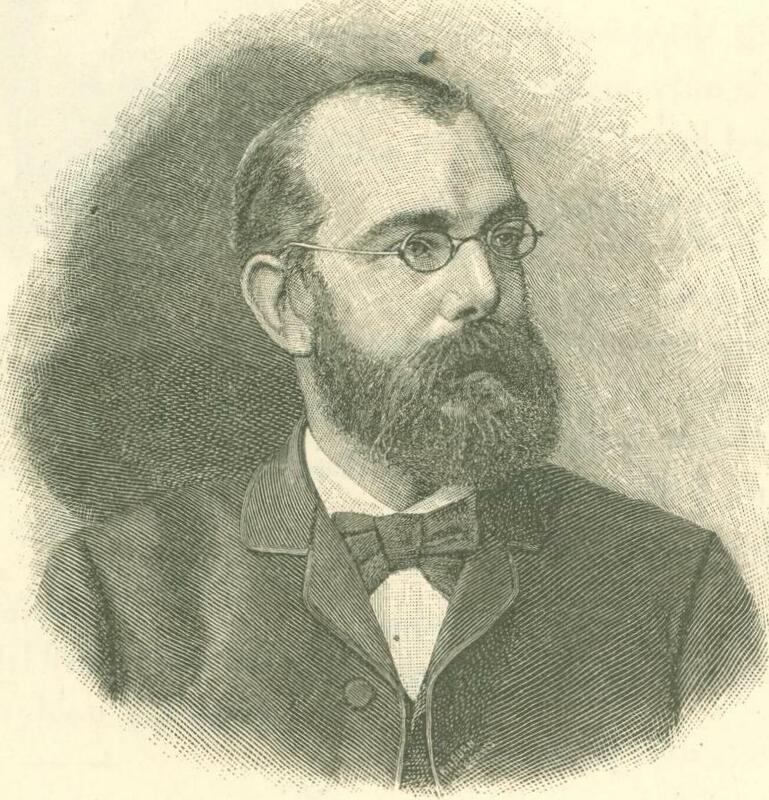 We shall see in the course of this article that the discoverer himself permitted his enthusiasm to get the better of his logic, and that today, after several months' ex­tensive experimentation on human beings in many public institutions, the prospect­ive cure of consumption, even in the first stage, is far from being certain. But it is true that most wonderful improvement has occurred in many instances, and that the future may record complete cures. The medical colleges, hospitals and hotels of Berlin present a picture which probably has never been seen before. In some hotels there are so many consump­tives undergoing treatment that one is reminded of a hospital. The corridors and reading rooms resound mournfully with the cough of hollow chests, and many doctors are present to discuss the situation. The undertaker completes the picture. For it is not uncommon to see funerals at the hotels since the poor creatures who have been "given up" by their doctors at home began their pilgrim­age to Berlin. There is hardly a civilized language which one does not hear in this motley assemblage. Frenchmen, Italians and Spaniards manage to understand one another and travel together in hunting for lymph. The dark-visaged Turk, Rouma­nian and Hungarian are found in another corner; the tall and slim-figured American is forever busy, and gets more information in one day than the lazy Orientals in a week. At the Hygienic Institute, where Koch's laboratory is situated, the applications for instruction are so numerous that no chance for new students will exist for some time. The hospitals are overcrowd­ed and patients generally have to wait for vacant beds. The visiting physicians are surrounded by eager medical followers, and they are indeed happy when the day's work is done. The universities are crowd­ed to overflowing not only in Berlin but in smaller German cities, and even Vienna gets her share of increased attendance. The lymph used for inoculating con­sumptives looks like strong beef tea. Each drop of the original fluid is diluted with 100 parts of water, and two drops of this fluid are used for the first treatment. If there be no fever and discomfort from this dose, four drops are employed the next day, and six, eight, or ten on succeeding days. But if there be a reaction, as fever, chills, headache, difficulty breathing, etc., after one of these injections, the dose is not increased until the patient shows, by the slight effects produced, that he or she can tolerate more. The maximum amount used at Berlin is one grain of the original as a single dose. It is found that healthy people as a rule do not suffer from after effects when small doses are used, but consumptives almost always have high fever, with cough and short breath, a few hours after the injection. In twenty-four hours all these symptoms disappear, and in another twenty-four hours the patient is ready for a second treatment. After half a dozen injections it is generally found that the patient no longer feels the reaction which is the disagreeable feature connected with the use of this remedy. Still it is advisable to keep up the treatments for some time to prevent a relapse. By carefully selecting the cases in which lymph is apt to do good, and by gradually increasing the small dose with which the treatment is begun, no accidents should happen. The deaths which I have seen in Berlin were for the most part due to the fact patients and relatives insisted upon the use of the lymph when the disease was too far advanced to leave ground for hope. In some cases, indeed, the lymph was used in order that the dying patient might be comforted by having his last wish fulfilled. The effect of the medicine is certainly marvelous. Whenever tuberculosis tissue is found it is attacked and gradually thrown off, while healthy tissue is unaffected. The action of the lymph is best observed in consumption of the skin or lupus. This affection is generally seen on the nose and cheeks, so that the changes occurring after the use of the fluid can be closely observed and studied. A few hours after the use of the lymph the red diseased surface becomes still redder and swollen, the patient feeling an intense pain in the parts affected. Small blisters form at various points, and it can at times be plainly seen that the tuberculosis nodules die and separate from the health tissue. Under the crusts which form over the lupus healing proceeds and lines of cicatrization gradually become visible. The redness and swelling increase for from twelve to twenty-four hours, after which a slow decrease of the inflammation leaves the tissue in an improved condition. With each injection a certain amount of healing takes place until, in the course of from twelve to thirty injections, a cure may result. When the disease extends deeply into the skin and underlying tissues the lymph of itself does not bring about a cure, because there is no chance for the deeply lying dead matter to be discharged, and the surgeon’s aid must be called in. The percentage of recoveries in lupus without surgical interference has so far been thirty-six percent. This proves beyond a shadow of a doubt that the recently discovered remedy has a powerfully curative action, and that the sallies of some professional brethren who think that the lymph possesses no virtue whatever are based more upon prejudice than observation. Probably the same changes occur in the lungs when the lymph is used for lung consumption. The living tubercular tissues are killed and separated from their healthy surroundings; if the disease be not too far advanced, and the circumstances for the discharge of the dead material are favorable, a cure can take place. The reader will naturally inquire whether such a thing has so far occurred in the cases treated. In other words, can we give an assurance that a cure can be expected by the Koch procedure? In answer to this, we can say that no case of lung consumption has been recorded so far which has been put down as absolutely cured. The time during which consumptives have undergone treatment has been altogether too short to decide the question. A disease which, in many instances, has been progressing for many years cannot be expected to be entirely cured in two or three weeks. But the improvement which has taken place in many cases has been so astonishing that there is every reason to hope that absolute cures may result after some months of medical treatment, especially in patients not too far advanced in the disease. It is self-evident when the lungs have been devoured by tuberculosis too such an extent that there is hardly enough breathing area left to support life that no hope of cure can be entertained from any method of treatment. That the reader may form an idea of the workings of the intensely poisonous lymph. I shall endeavor to describe the case of a man whom I saw under treatment for two weeks at the Charity hospital of Berlin, and who is at the present time consider­ably improved. This patient had been suffering for twelve months from a serious cough, night-sweats, difficulty of breath­ing, and other symp­toms of consumption, and medical examina­tion revealed affection of both lungs, but no cavities were found. Many interesting observations are be­ing made in the Berlin hospitals which point to a brilliant future for the lymph, as regards the diagnosis of tubercular af­fections in various organs of the body. Some patients have been injected with the Koch fluid, not with a view to rem­edying a tubercular ailment but rather to decide what effect it would have on non-tuberculous subjects. It was found, how­ever, that in quite a number of cases re­action followed the use of the remedy. A search was instituted for the cause of this reaction, and it led to the discovery of tubercular affections of the kidneys, in­testines and other abdominal organs. It was found also that in these cases a pain­ful sensation was complained of by the patient in the region of the affected organs, pointing, as it were, to the place where tu­bercles were to be found. The medical profession will no doubt attach more importance to the diagnostic than to the remedial features of Koch's lymph. The value of a drug which will aid us in making out a case of consump­tion before the disease has gone too far to be under medical control is an inesti­mable boon to humanity. Pulmonary con­sumption ought, by means of the diag­nostic and remedial powers of the Koch lymph, to become a preventable disease, and the near future should see the end of a plague which has been decimating the people for countless years over the entire globe. Moreover, there is hardly any doubt that the principle involved in the Koch discovery will soon be brought to bear on other infectious diseases, and that we may hope that diphtheria, scarlet fever, typhoid fever, etc., will be counted among the ailments against which powerful med­ical weapons can be employed. It is too much to hope that we shall have no con­tagious diseases at all worth speaking of; but, at any rate, a new era of medical thought has come, and who knows where it will land us? An immense number of observations are being made, not only in Berlin but in all medical centres, which will soon place us in a position to state the exact limitations within which we can expect to see results from the use of the lymph. In the mean­while, let us hear everybody who has had any experience with the new remedy and let discussion have full sway. The microscopic examination of the sputum for bacilli is a very important fac­tor in deciding the amount of good de­rived from the lymph. if the bacilli be no longer discoverable in the matter ex­pectorated by a patient, we can conclude that healing proceeds well and that the prospects are favorable. On the other hand, if bacilli be constantly present in large numbers in spite of weeks of treat­ment, the future of the patient is gloomy. Examination of the sputa is therefore a daily procedure at the various hospitals of Berlin, and the microscope is constantly consulted in estimating the chances of recovery. So far a total disappearance of bacilli has been a rarity, excepting for a short time, but an immense reduction in the number of them has occurred in al­most all cases treated for some time by the new method. On the whole, it is a safe statement to make that a great deal of benefit has been derived from the Koch treatment by consumptives not too far advanced in the disease, and that in in­cipient consumption a reasonable hope for cure can be entertained. Professor Koch himself will have all the opportunity for further observation that he can wish through the new building now being erected by the government for his special use. One cannot sufficiently admire the appreciation by European powers of the work of their great investi­gators. The immediate anxieties con­nected with working for a living should not worry the man who lives for science. Medical institutions ought to be endowed by the state on the principle of afford­ing protection to the life and health of a people or nation. The teachers in such institutions should not be dependent upon the dollars of students, but be entirely un­hampered by financial considerations, and devote their time to that scientific and clinical research which today displays to us the achievement of Robert Koch. 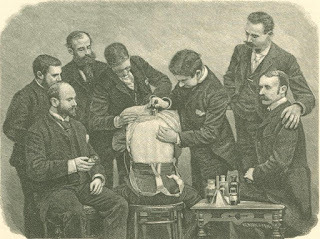 "Many a gem of purest ray serene" would be found among the medical men of the United States were they enabled to develop themselves by the opportunities presented at the many great hygienic institutions of Europe. So far, the American physi­cians and surgeons have been known chiefly for practical observations at the bedside. We have, of course, many doc­tors who have also displayed remarkable acumen in scientific directions. But the latter should receive more encouragement. The government of the United States ought to establish a central univer­sity and hygienic institute for the study of questions connected with public health and for original medical research. Ameri­cans have excelled other nations in mat­ters practical; let us also have them excel in matters theoretical; for the latter often lead to most important scientific facts, and these, again, to great humanitarian improvements. The present status of the lymph ques­tion regarding the advisability of con­sumptive patients going to Germany for treatment can be summed up in three words: "Do not go." Those who are suffering from consumption in its early stages can well afford to wait until we shall know more about the exact action of the lymph. Moreover, other lines of treatment are effective in the first stages of phthisis, such as climatic change, medici­nal remedies, hygienic improvement, and instances of complete recovery by the old method are not at all rare. On the other hand, those who are far advanced in the disease have no reason to hope for the slightest improvement from Koch's method; indeed such cases are at present re­fused treatment. Again, the lymph will be sent to nearly every institution in Amer­ica and elsewhere within a short time, so that patients will be enabled to receive the benefits of the new treatment in their own town. There is another consideration which should be well weighed before a consump­tive decides upon a transatlantic trip. In Berlin the private and public institutions are overcrowded, and the majority of pri­vate patients must be treated at the hotels. At the latter places no conveniences what­ever exist for the proper care of disease. The surroundings are such that a chronic ailment is bound to grow worse. Fresh air and sunlight can rarely be obtained; a suitable diet is out of the question, and an unfamiliarity with the language often interferes with obtaining comfort which might otherwise be easily procured. Add­ing to this the exposure to cold, sea­sickness and other inconveniences of travel, there is no doubt in my mind that the advice above given, "Do not go," will be accepted as resting upon solid ground. Originally published in Cosmopolitan Magazine. May 1891.